Over the past few days we have seen a number of iPhone games that are releasing free versions for the iPad. These iPad versions are offering better graphics as well as advanced stages. An example of this is Dizzypad HD and now Harbor Master has joined the club. Harbor Master is an iPhone / iPod Touch game priced at $1.99 and available from the App Store here. 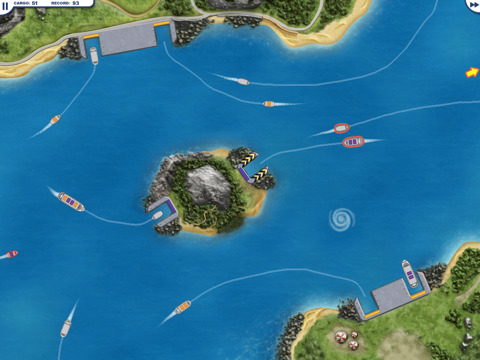 In the game you are the Harbor Master in a busy harbor. 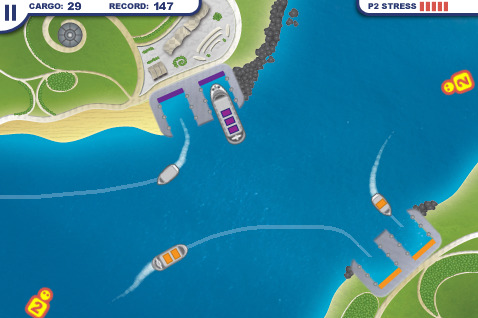 You need to direct boats into the docks, watch them unload their cargo, and direct them off the screen. We need to direct our boats safely so they do not collide with other objects. Besides crashing into objects, other dangers our ship faces include monsters, pirates, and cyclones. The game is noteworthy for its simple yet unique concept and great game progress. Although the iPhone version is compatible with the iPad as well, Imangi Studios has now released an iPad only version of the game; this version is called Harbor Master HD and is being provided to iPad users for free. With Harbor Master HD, Imangi lets users enjoy the best selling game on the beautiful big screen of the iPad. 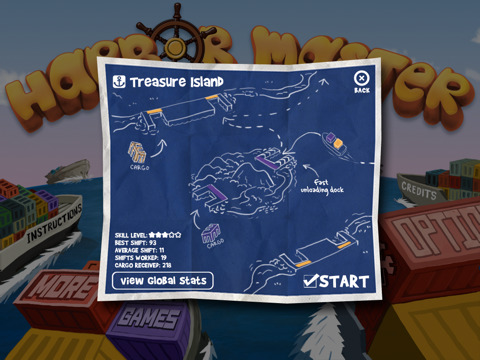 Harbor Master HD gives you one beautiful new level called Treasure Island. With six docks and two cargo types, the game gets hectic very fast. Multiplayer option is also available and we can play with any other iPad owning friend. Harbor Master HD will definitely be a treat for all iPad owners. Click here to get Harbor Master HD for iPad (Free). Opera Mini is the Number One Free Download in Every App Store!